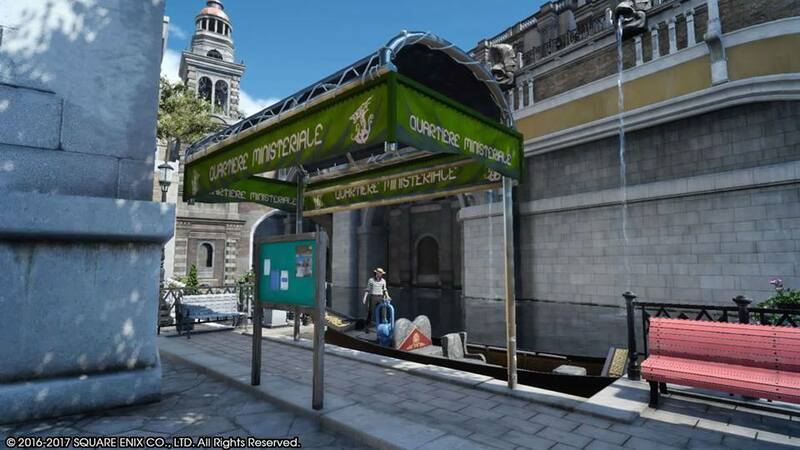 In Chapter 9 of FINAL FANTASY XV, you finally arrive at the city of Altissia. 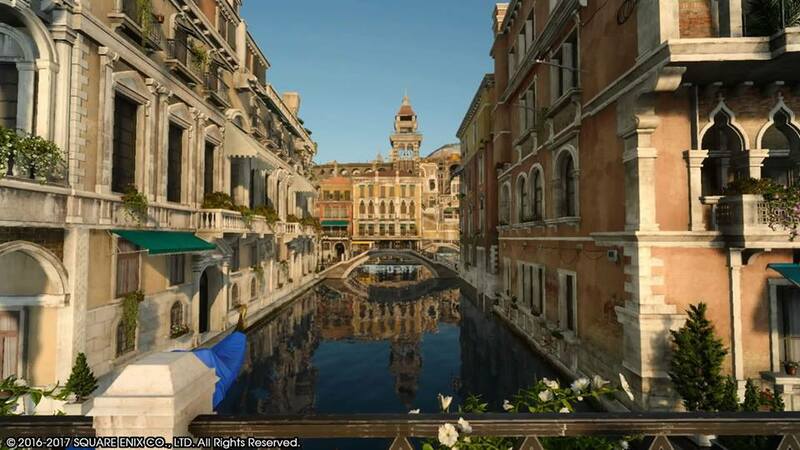 While this game was in development, SQUARE ENIX turned to their Italian localization team, who based the design of the city upon the real-life location of Venice. 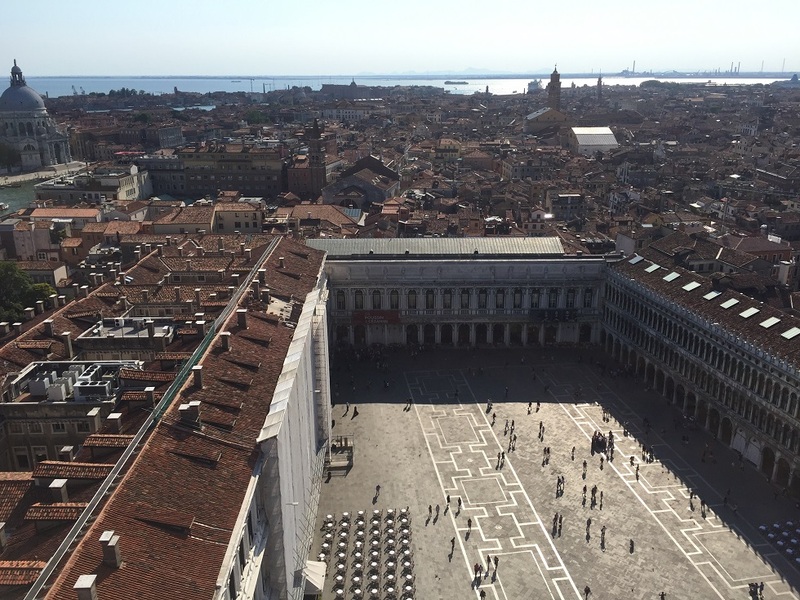 In May/June 2017, I went to Venice to explore the city and showcase the similarities (and differences) between the two. 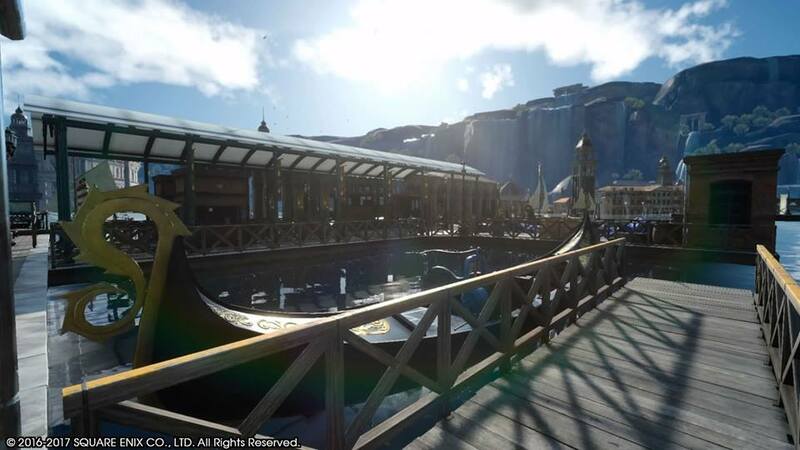 All in-game photos of Altissia were taken either using the PlayStation 4 Share button or by utilizing Noctis’ in-game photo taking options. 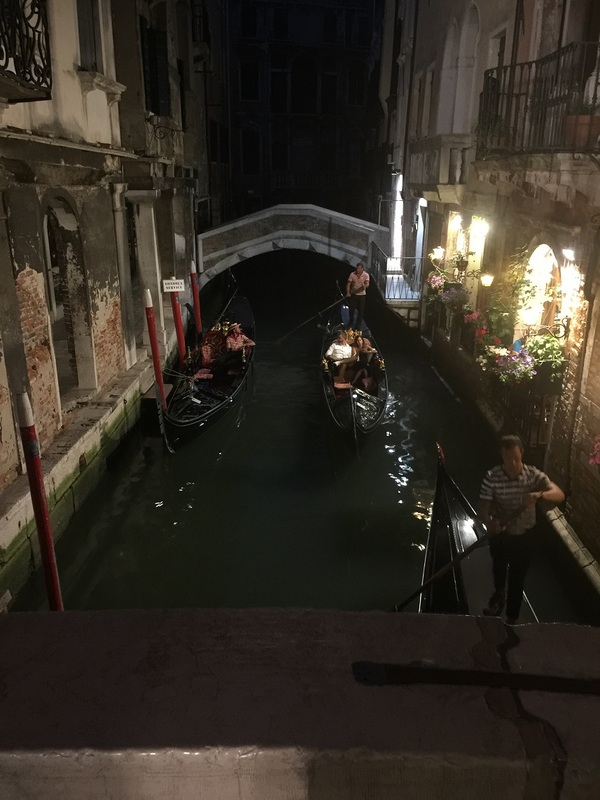 The photos from Venice were taken by me over a course of several days in May/June 2017. 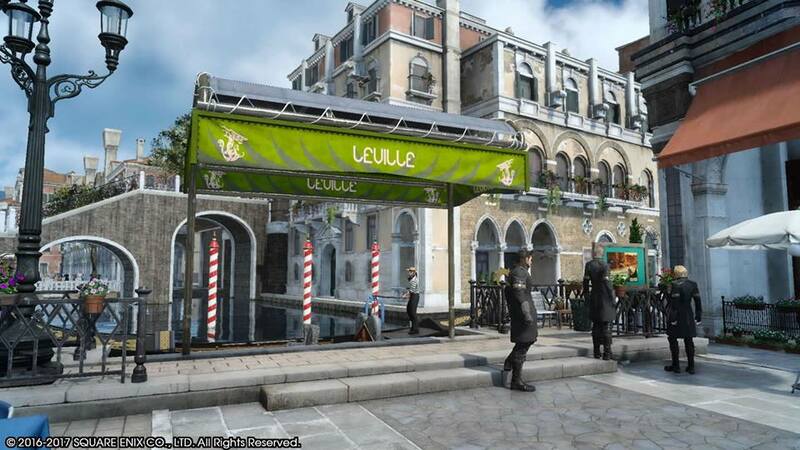 The logo for FINAL FANTASY XV is used courtesy of SQUARE ENIX. 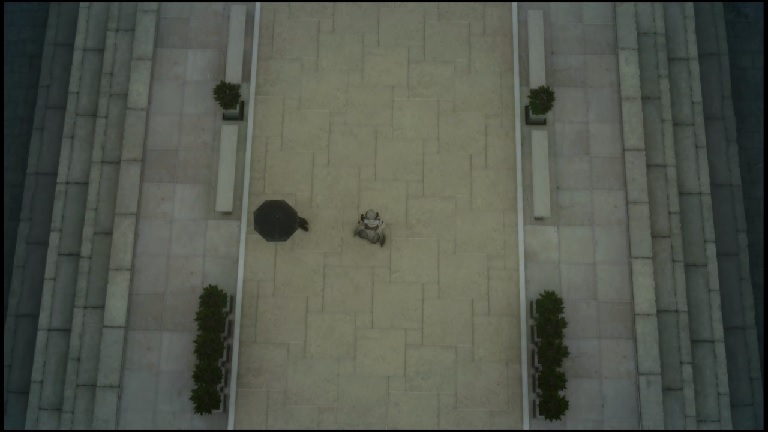 At the beginning of Chapter 9, Ravus Nox Fleuret, the high commander of the Empire of Niflheim, lies to Niflheim Chancellor Ardyn Izunia in Yureil Plaza about having seen Lady Lunafreya. 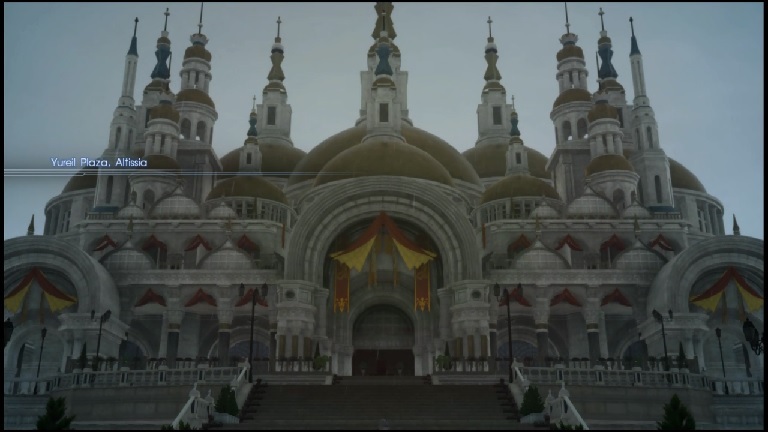 This betrayal by Ravus sets the gears in motion for the events of this chapter and beyond for Noctis and his Crownsguard. 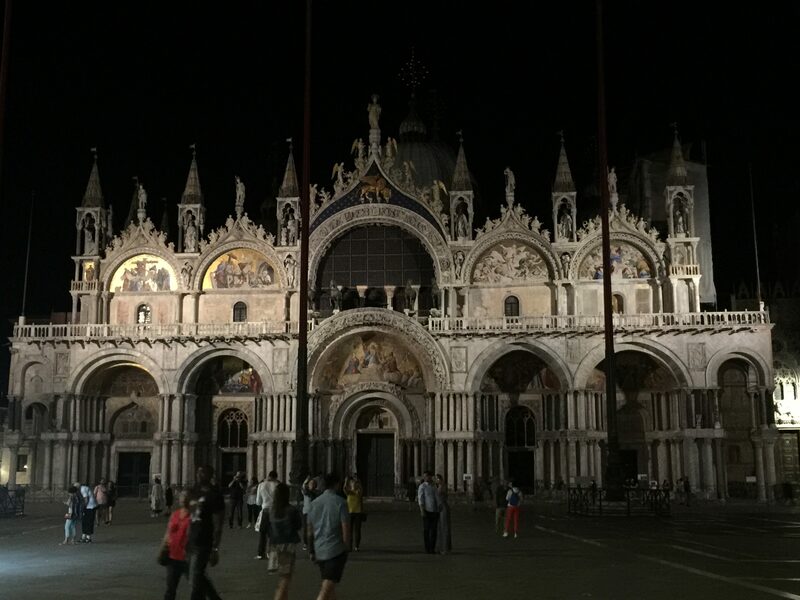 Yureil Plaza and the church within in Altissia were clearly modeled after Piazza San Marco and Basilica San Marco in Venice, both of which date back to the 800s, and the Basilica San Marco is one of the finest examples of Italo-Byzantine architecture in Europe today. 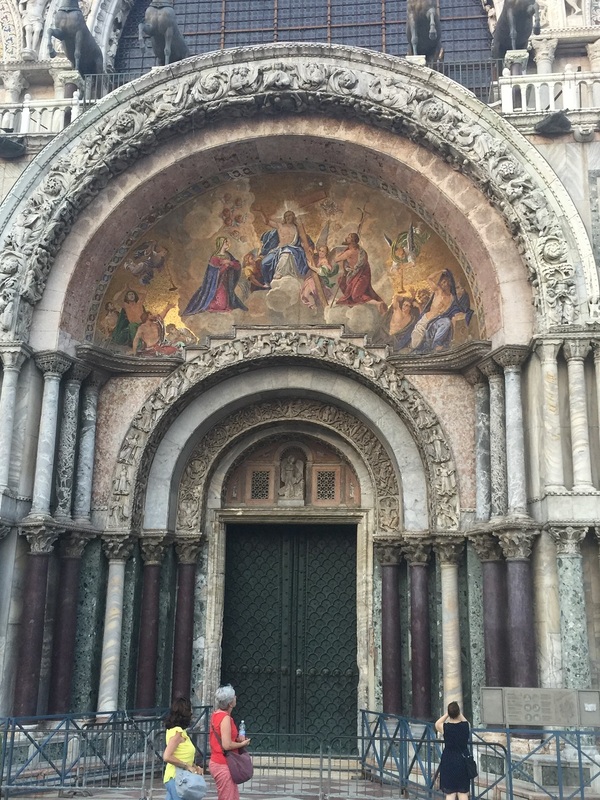 While the central archway for the church in Yureil Plaza was left fairly plain, with only banners for decoration, the mosaic over the main archway for the Basilica San Marco is an 1800s mosaic of The Last Judgment from the New Testament. 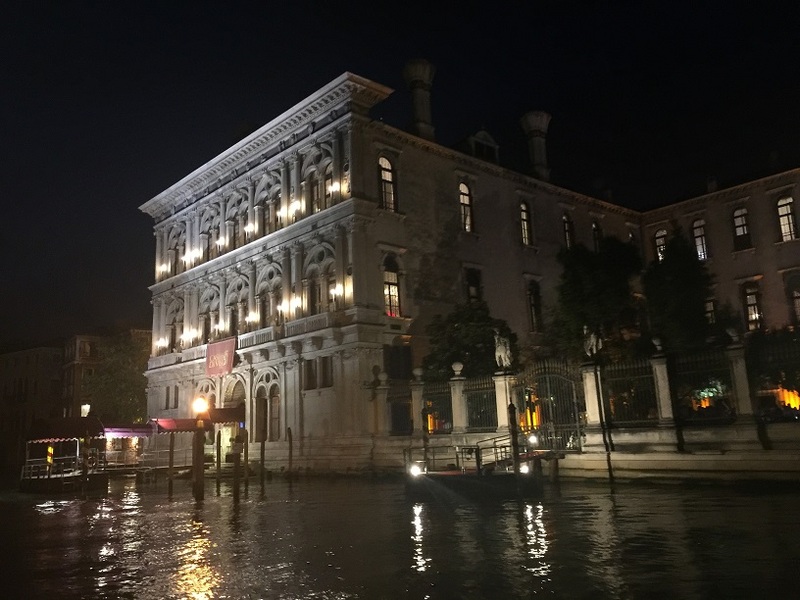 If you take the Red or Blue Alilaguna lines from the Marco Polo Airport, you will eventually reach San Marco – Vallaresso stop in Venice. 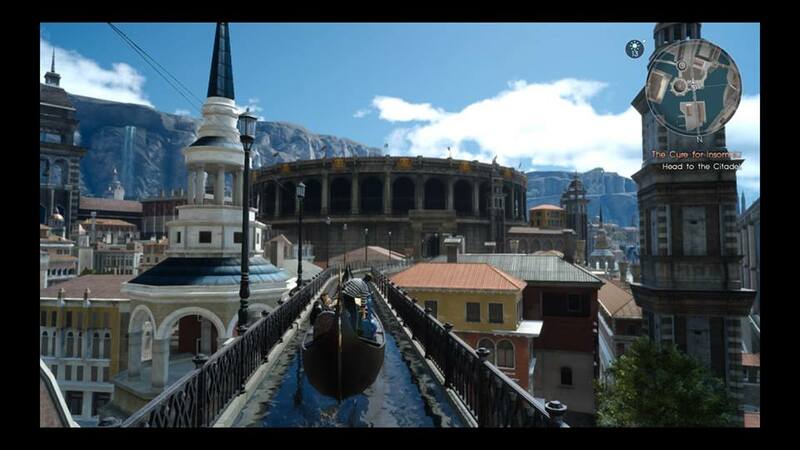 In FINAL FANTASY XV, Noctis and the chocobros ride from Cape Caem and arrive in Altissia at Port Station. Clearly, there are direct parallels to be drawn from people arriving at both of these cities from the sea. 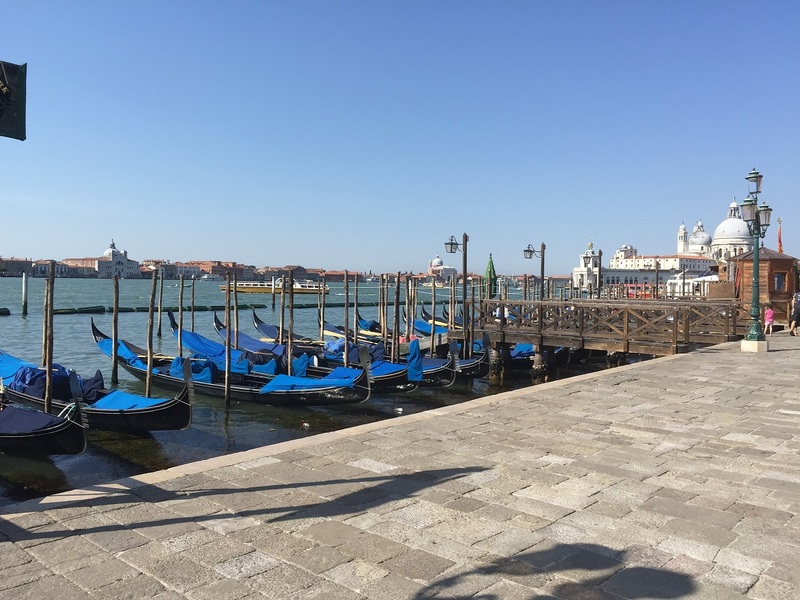 Additionally, both at San Marco Vallaresso and at Port Station, there are gondolas just idling at the water front, even without a gondolier to pilot them. 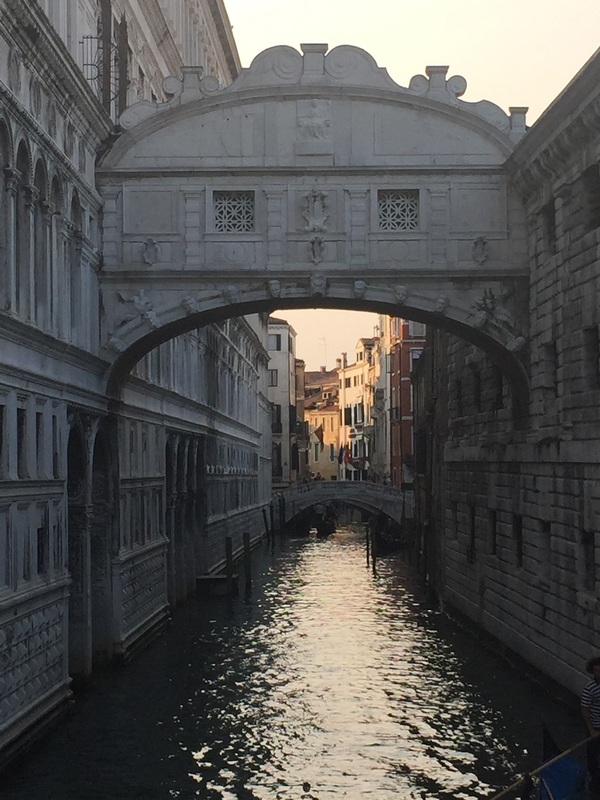 …The Bridge of Sighs, which is one of the most famous bridges in the world. 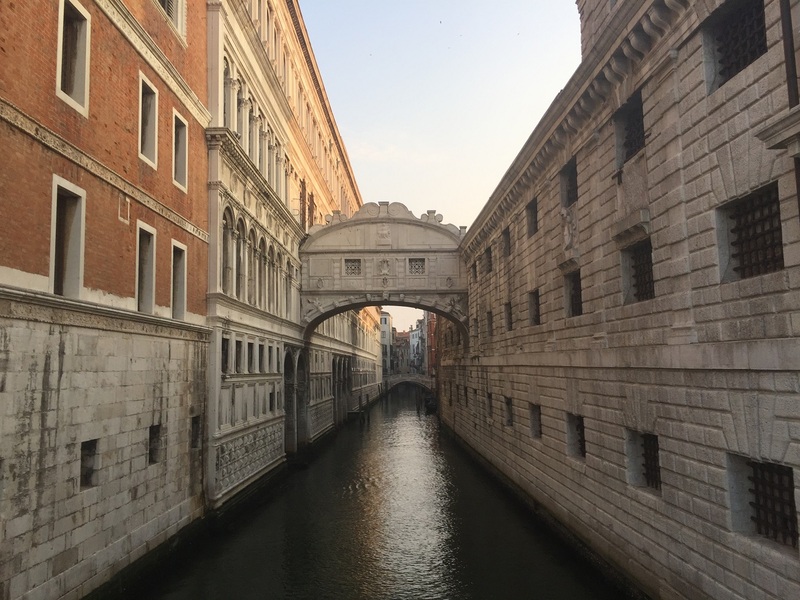 Construction first began on the Bridge of Sighs in 1600, and it contained the last view of Venice that prisoners would see as they were transferred from the Doge’s Palace (on the left) to be kept in the prison post-conviction (on the right). 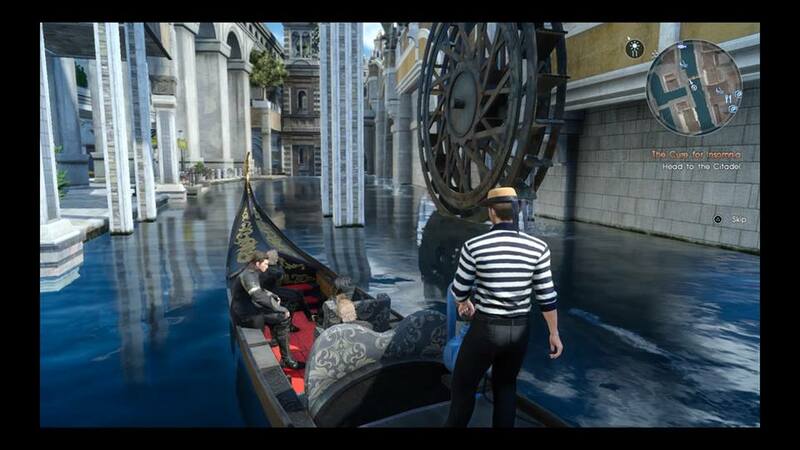 Gambling is common in both Altissia and Venice, however they could also not be more different in execution. 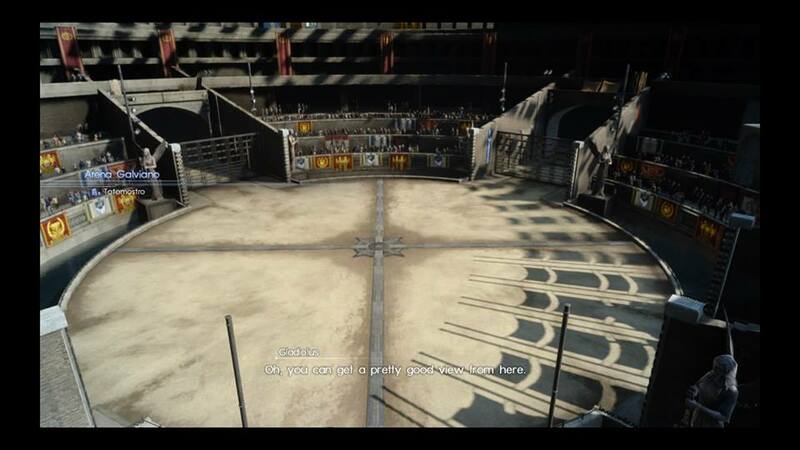 In Altissia, people go to the Arena Galviano, where they wager Galviano chips in a game called Totomostro on which monsters from all across Eos can outdo and outsurvive the battle. 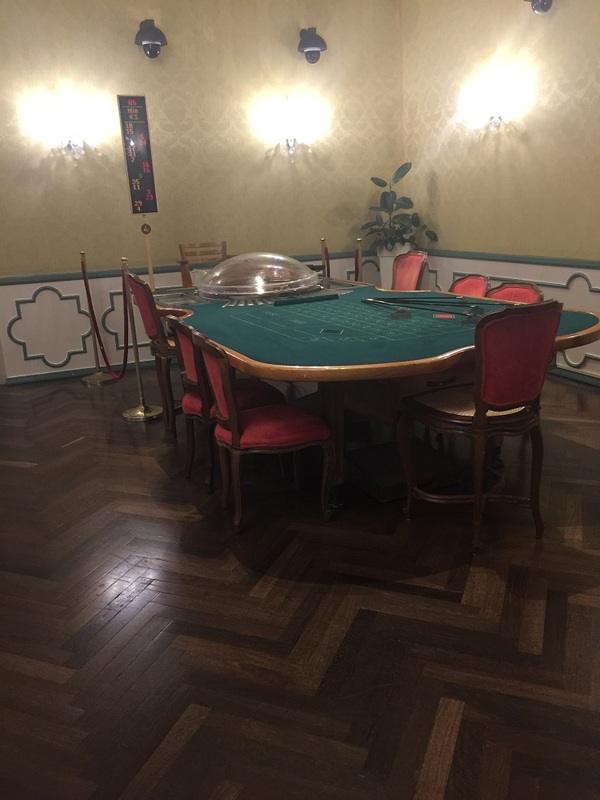 In Venice, there is the world’s oldest casino: the Casino di Venezia, established in 1638. 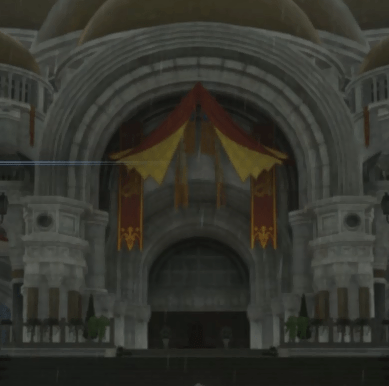 While the battle arena in Altissia is quite large, the casino…is surprisingly demure and rather small, and lacks the flash that you would expect if you’ve spent any time in Las Vegas. Despite this, both can lead to exciting games of chance…If you have the cash to play, of course. (Above: Leville and Ministerial Quarter Stations in Altissia. 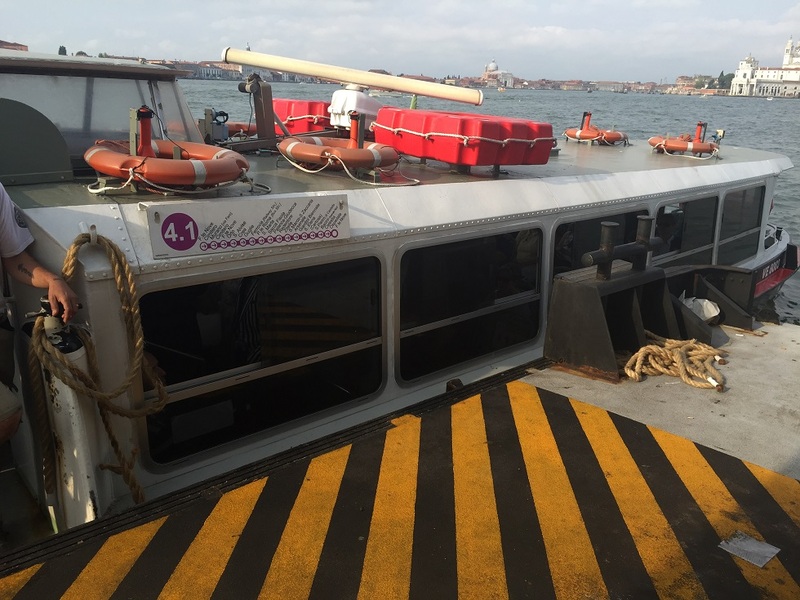 Below: Cimitero and Burano Vaporetto Stops in Venice). 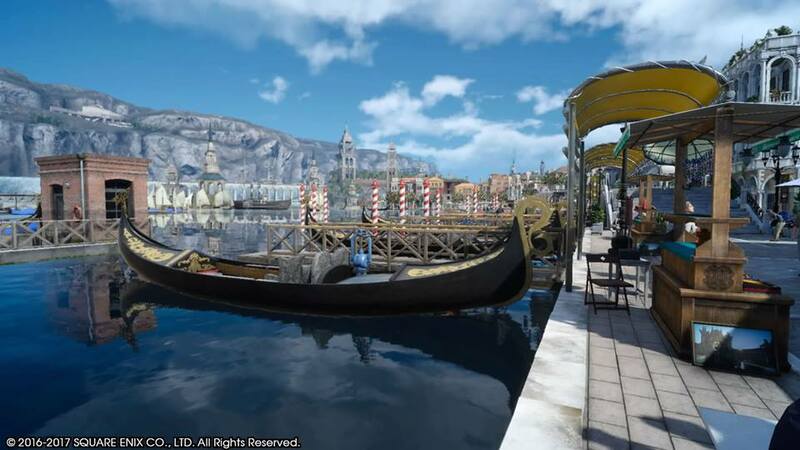 In Altissia, everyone gets around by riding gondolas from breezy and open air stations. 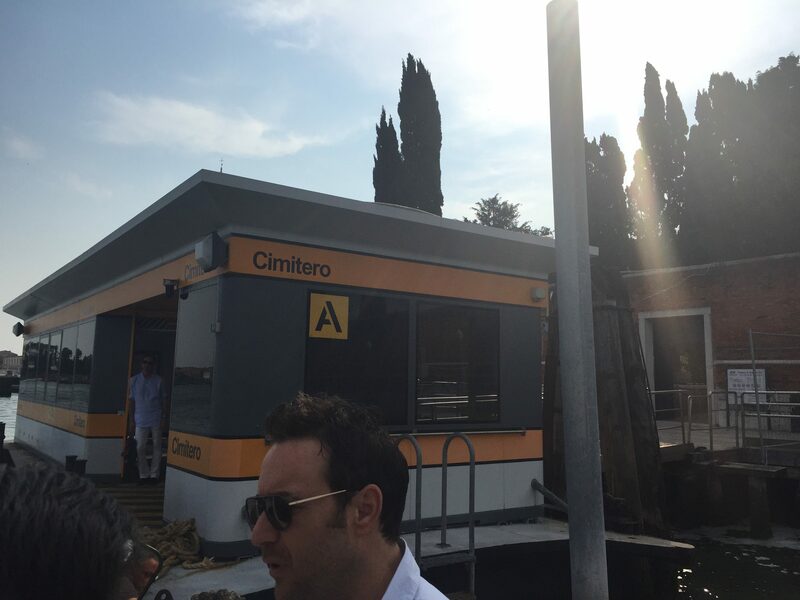 In Venice, if you are taking the ACTV public transportation, the grand majority of stops are enclosed and open directly onto the vaporetto. 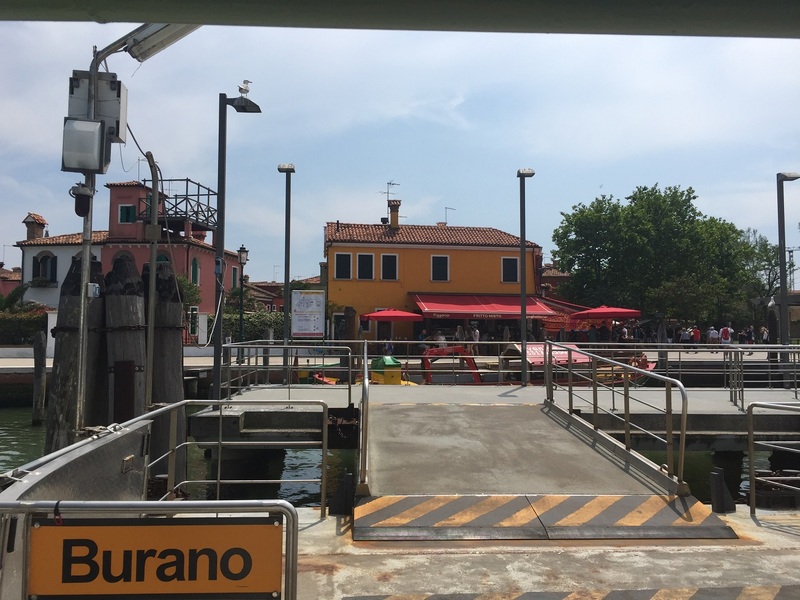 There are some, such as Burano, that are remarkably open with little in the way for protection from the elements. 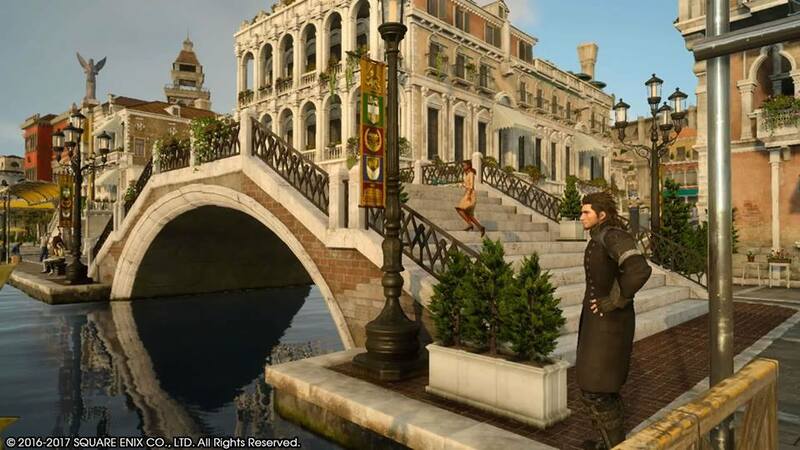 In both Venice and Altissia, there are no roads. 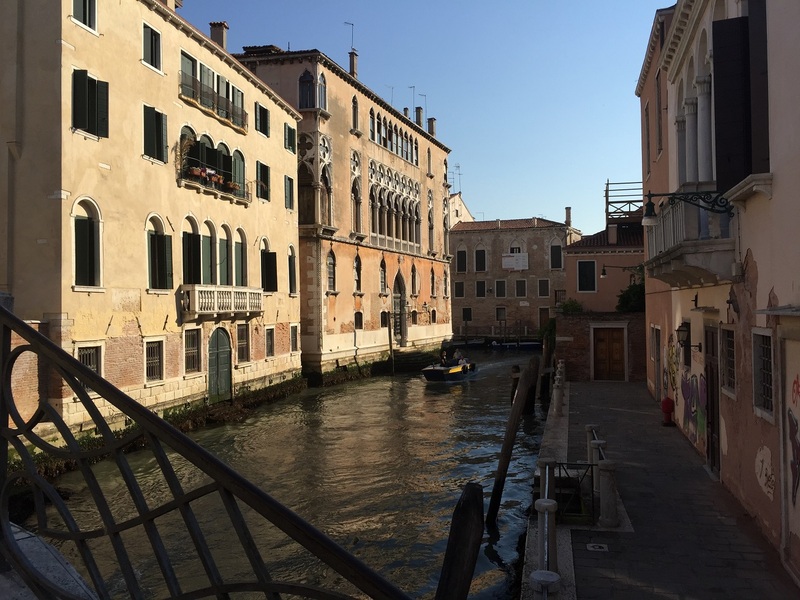 Instead, there are canals. 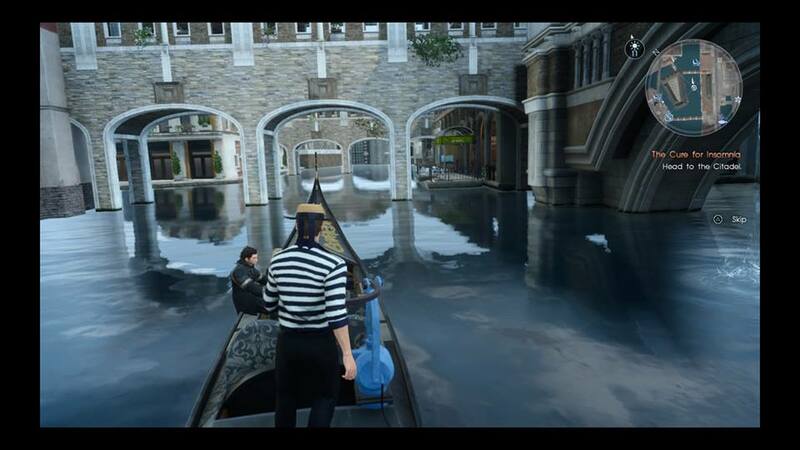 The canal ways in both cities are actually pretty similar, with the exception of the lack of barnacles on the canal walls in Altissia (as there is in Venice – I actually cut my hand open on one at one point), and there are no water wheels lining the canals in Venice as there are in Altissia. 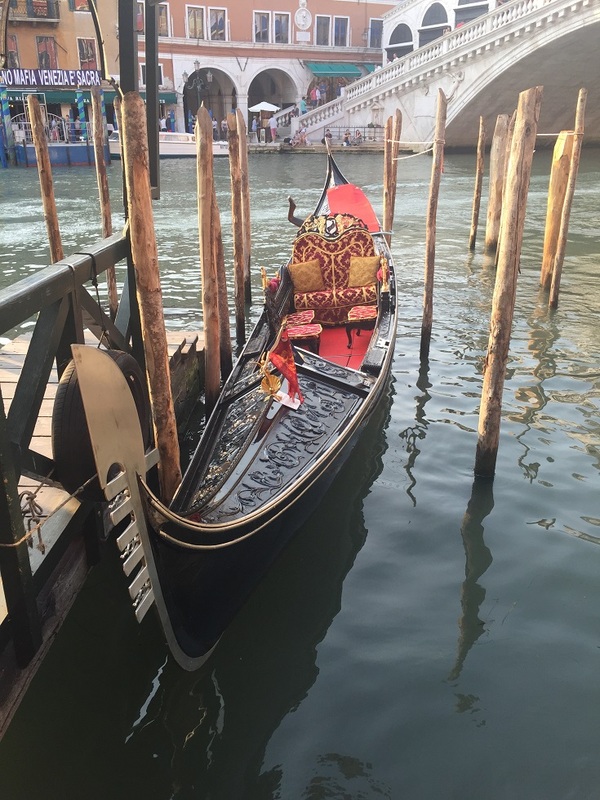 While the gondola is the main form of transportation between Stations in Altissia, gondolas are used exclusively as an (admittedly overpriced) tourist attraction in Venice. People in real life either operate their own private boat or ride vaporettas between ACTV stops. 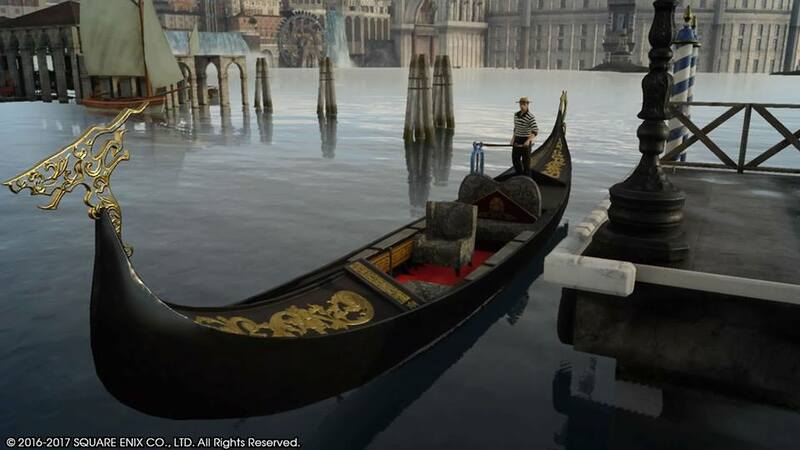 Despite the differences in purposes for the gondola in the two worlds, it is clear that the FINAL FANTASY XV team drew direct inspiration from the gondolas in Venice for Altissia. 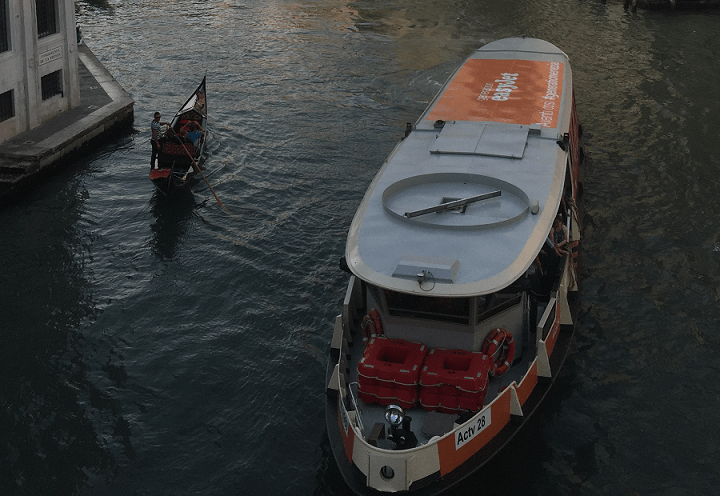 (Below: A Venetian vaporetto as seen from above, with a gondola in frame for a size comparison, and a close up of a vaporetto).